Not all soils are the same. If laying out a new lawn or planting flowers seems to be something that you’ll do in the upcoming months, understanding topsoil can help your lawn or garden flourish. In short, yes. Typically, soil near your home is either made of clay or sand. Soil heavy in clay is often muddier. When touching it, it might feel sticky. It does best with water retention but that’s not always what our plants need. Soil heavy in sand drains incredibly quickly, which means that in the warmer weather, extra watering is required to maintain your plants. Neither of these are especially ideal. If your soil is too thin or doesn’t provide proper drainage, it may not work for your garden. This is why many people buy topsoil. In order to provide the best growing environment, soil must have a proper balance of nutrition. It must also have proper consistency and the ideal topsoil has a pH of about 5.5-7. How Do I Know If I Have Quality Topsoil? Finding quality topsoil can be difficult. 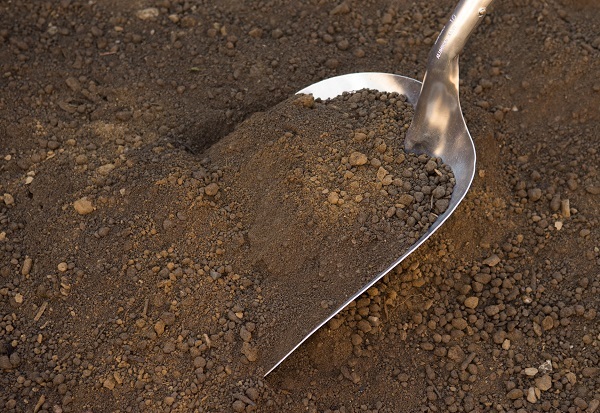 It is always best to go through a recommended or reputable company or garden centre because the quality of the topsoil offered can differ from place to place quite a bit. All provided topsoil should be screened prior to bagging or shipping to ensure that no rocks, debris, or roots remain in the soil. Topsoil also consists of sand, clay, and silt in various proportions. The ideal topsoil consists of sixty percent sand, fifteen percent clay, and twenty-five percent silt. Not all topsoil providers meet these ideal proportions, though, which can affect the way your garden grows. What Produces the Best Growing Environment? Topsoil also contains decomposed, or organic, matter. This is incredibly important for plants because this is where they get their nutrition. It also means that the topsoil can drain better. Water that sits in soil for too long can become stagnant or cause the plants to become waterlogged. On the other hand, water slipping through soil too quickly might leave the plants too dry. Topsoil combats both of these issues, making it an ideal growing environment for plants. Additionally, adding topsoil makes the garden area easy to till and maintain. All topsoil contains a mixture of water and oxygen, allowing plants to thrive. Topsoil, to effectively do its job and enrich your garden or lawn, should be layer about six to ten centimetres over the ground. Not all companies produce quality topsoil, which is why finding a company that has a valued reputation is important. Many companies offer topsoil delivery in Richmond and ensure quality and affordability. While gardeners should always look to purchase the best-quality topsoil that they can afford, that shouldn’t mean that cost-effective topsoil suffers in quality.